Illiteracy often remains the biggest obstacle to the distribution of the Bible in minority languages. For George Cowan, president of Wycliffe Bible Translators International between 1956 and 1981, the people’s ability to read their own language is essential to their use of translated Scriptures (The Word that Kindles, Wycliffe Bible Translators, 1979, p. 87). According to Cowan, the Lord has chosen to reveal himself through both oral proclamation and a written document. Translation and literacy together give access to the Word of God. Believers should not only be literate, but also read to others and teach them to read. While Bible translation provides motivation and material for literacy programs, people who can read and write can contribute greatly to the Bible translation program. 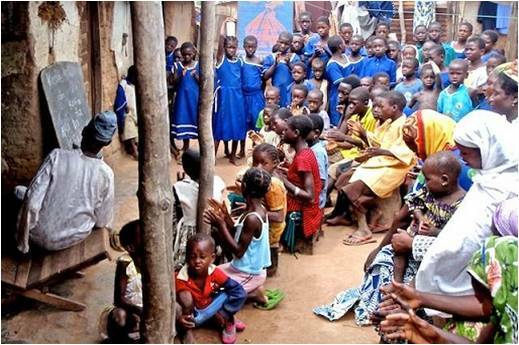 Among the Nawdba in Togo, we regret that, so far, very few people have learned to read. But the Word of God is accessible to them since the publication of the New Testament in Nawdm in 2013. Therefore, the ball is in their court! For those who haven’t yet learned to read, the biblical text has been recorded. These audio or video versions can be a springboard towards literacy. The media producers need to have the translated Bible text and to be literate themselves. 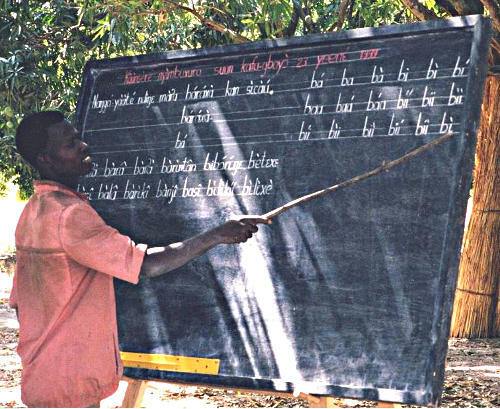 Here is how Bible translation can support literacy.